In March 2016, we completed the erection of 8 steel hangars for the pilot college in Dęblin, dedicated to new training aircraft, Aermacchi M-346. 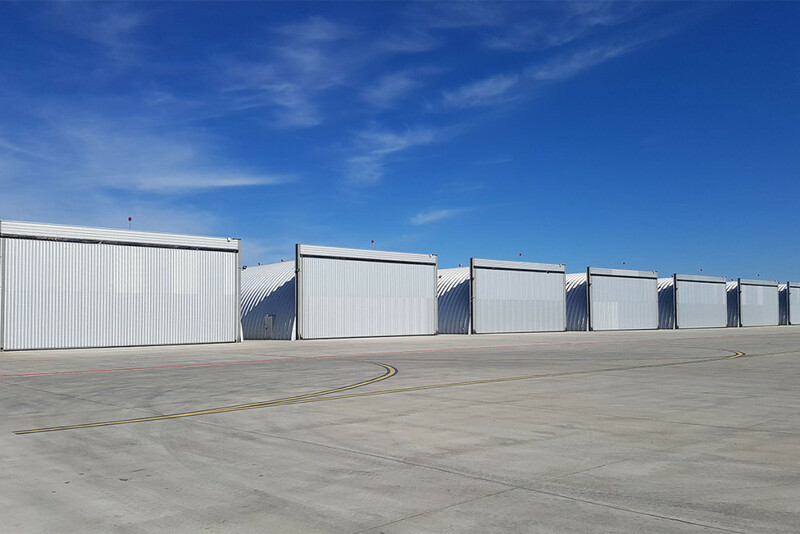 We have fitted the hangars with unique solutions, namely 16 double-leaf gates with hydraulic drives. In November 2015, we completed the assembly and installation of two H-20 pneumatic hangars (20m span, 31m long in total). The complete assembly including the emergency power supply and the lightning arrester system took 1.5 weeks. 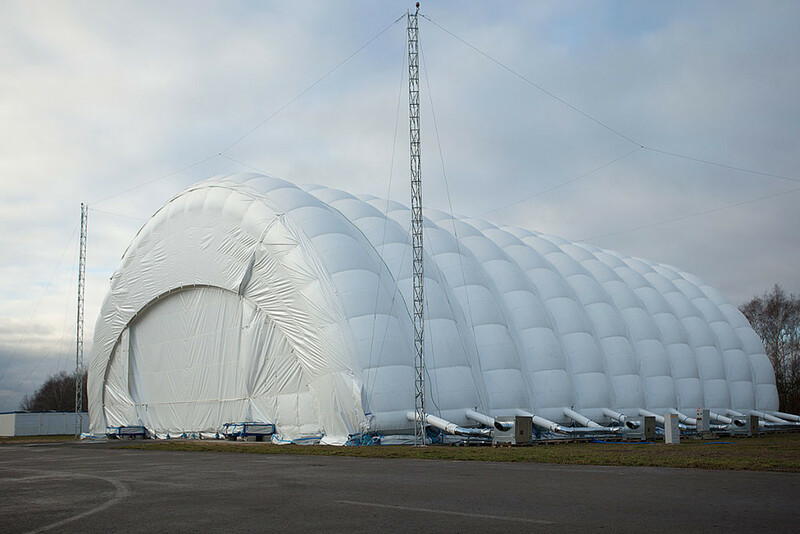 Owing to their assembly in a flash and the minimum building formalities, pneumatic hangars are an ideal ‘temporary’ solution for the military, rescue services as well as in event applications. Anywhere where time matters. 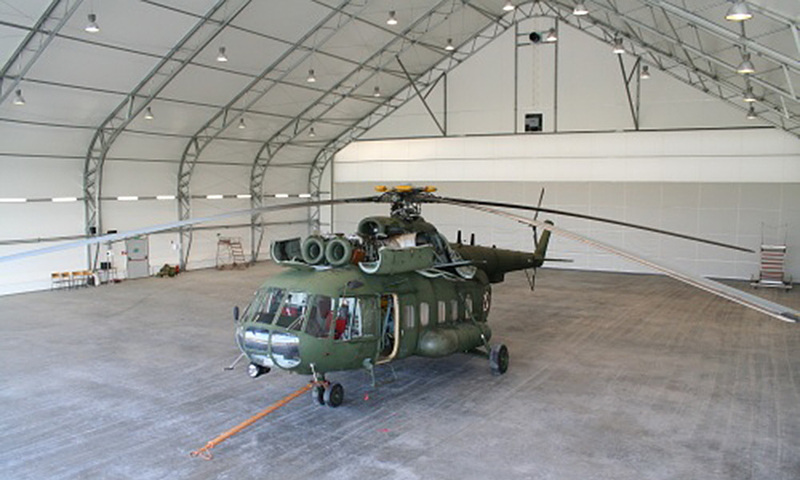 In October 2015, we handed over the Mi8 hangar for the 3rd Search and Rescue Group at the Kraków-Balice Military Airport. Within this project, in addition to the delivery and erection of the hangar, we installed the concrete parking space with infrastructure. The hangar is fitted with 2 large Megadoor S1500gates. To find out more, see the article available in the Altair service.